6 out of 6 (100%) reviewers said they would recommend this vehicle to a friend. I have rented the previous versions of Fit/Jazz for countless times. I have also also owned Vios and CX-3 in the past. Was shopping for a car to replace my CX-3 due to growing family, and i needed to put in a baby car seat (rear space too cramped in CX-3). Came across the Fit when sending my car for servicing. Driving one now close to 4 months and loving it. Just need to remind myself not to be a heavy footer as CVT gearbox is slow to react. Managed average FC of 20-22km/l, which is higher than the advertised FC of 19.6km/l. 4) Does not come in stick shift. I drove a 2008 1st Generation Jazz, prior to that a Skoda Roomster and a Honda Civic (ES05), when I first drove the Jazz I was amazed at the interior space and the engine response.... The 3rd Gen amazes me more, I do not feel like I am in a compact car ( I am a rather fat guy). The car suits my needs, carry my family around and frugal when do my work. Rented a Honda Fit 1.3 with CVT during a holiday trip, the car seems decently spec with auto start/stop and climate control digital air-con. The only let down is the performance of this car, beyond the city, 97bhp is a constant struggle in overtaking vehicles. If you're looking for speed, look elsewhere or at least get the Fit RS 1.5, otherwise the 1.3 is good enough for a fuel economical daily transport. I rented this car for a week. Good to drive as a small car for travelling. But not as powerful as Honda Accord. Car broke down, so given a new Honda Fit 2015 to drive for 2 days. This car is surprisingly spacious in the inside, and frugal on fuel. No doubt it's still noisy on expressway speeds, but nevertheless still comfortable. Authorised Distributor Honda cars are Honda City Reviews, Honda Civic Reviews, Honda Civic Type-R Reviews, Honda CR-V Reviews, Honda HR-V Reviews, Honda Jazz Reviews, Honda NSX Hybrid Reviews, Honda Odyssey Reviews. Parallel Imported Honda cars are Honda Civic Hatchback Reviews, Honda Civic Type-R Reviews, Honda Fit Reviews, Honda Fit Hybrid Reviews, Honda Fit Hybrid Speedo Motoring Edition Reviews, Honda Fit Trust Motoring Edition Reviews, Honda Freed Reviews, Honda Freed Hybrid Reviews, Honda Freed Hybrid Trust Motoring Edition Reviews, Honda Grace Hybrid Reviews, Honda Odyssey Reviews, Honda Odyssey Hybrid Reviews, Honda Shuttle Reviews, Honda Shuttle Hybrid Reviews, Honda Shuttle Hybrid Speedo Motoring Edition Reviews, Honda Shuttle Trust Motoring Edition Reviews, Honda Stepwagon Reviews, Honda Stepwagon Hybrid Reviews, Honda Vezel Reviews, Honda Vezel Hybrid Reviews, Honda Vezel Trust Motoring Edition Reviews. sgCarMart is the number one car site for buying Singapore cars, including new cars, parallel import cars, Toyota, Honda, Nissan, Volkswagen, Mitsubishi & BMW. We have new car dealers comprising parallel importers, authorised car distributors, and used car dealers who have the New Honda Fit Speedo Motoring Edition latest price Find new car pricelists, new car launches, new car promotions, new car reviews, latest car news & car articles. 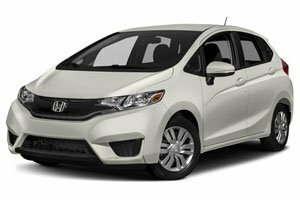 Read the New.Honda Fit Speedo Motoring Edition consumer reviews to help you decide on buying a car. Also join our car discussion and forum discussion for car reviews, motoring news & motoring guides. Visit our partner sites who have job openings for Singapore jobs, Singapore classifieds, mover and real estate properties for sale.